"Ozzy was a pro from the get-go! We worked with him to initially identi..."
"Ozzy was a pro from the get-go! We worked with him to initially identify an apartment that was the right size and price for my wife and I, and was more than willing to show us the apartments and coordinate with the ownership when we had questions to make it all happen. He was also quick to follow up with us during our signage phase, and was very very friendly, knowledgeable and willing to be our crutch (as we hadn''t been through this for a while!!). I highly recommend Ozzy for your leasing & buying needs so you can find the right new home for you." "When I first started my apartment search, I started scouring sites lik..."
"When I first started my apartment search, I started scouring sites like Naked Apartments, Rent Hop, etc. and I happened to message Ozzy about an apartment listing that he had posted. Within minutes, I received a response telling me that he has a whole bunch of places that would fit what I''m looking for. This was a huge relief given that I''d been turned away from other brokers that told me I was looking too early. Not Ozzy. He found some GREAT apartments that fit my move-in date with no problem. I actually went out with another broker to just see what else was out there and was SO disappointed because none of them held a candle to the apartments that Ozzy had showed me. He does his research and knows exactly what''s out there and which ones are worth showing (as opposed to some brokers that take you to an apartment that they''ve never seen before and hope it works) Even through some speed bumps (losing apartments, indecisive moments on my part) he stuck with me through the entire process. He also helped me get the price down on the apartment that I really wanted that was just a little more than I wanted to spend. I ended up moving into that apartment a few weeks ago and I couldn''t be happier. Even post move-in, Ozzy was in touch to make sure that everything was good and the move-in went smoothly. Highly recommend!!!" "When my wife and I decided to move to New York, we got in touch with O..."
"When my wife and I decided to move to New York, we got in touch with Oswald. He immediately understood the type of neighborhood, and kind of apartment we were looking for. By the time we landed in New York, he had a series of units ready to be seen, and in 2 days we were able to sign the lease. All the apartments he found for us were exactly what we were looking for. Throughout the process he''s been very understanding, flexible, helpful, and friendly. We couldn''t be happier with the service Oswald provided and we definitely recommend him." "A friend and I were moving from California, and we needed to find a pl..."
"A friend and I were moving from California, and we needed to find a place to live quickly. 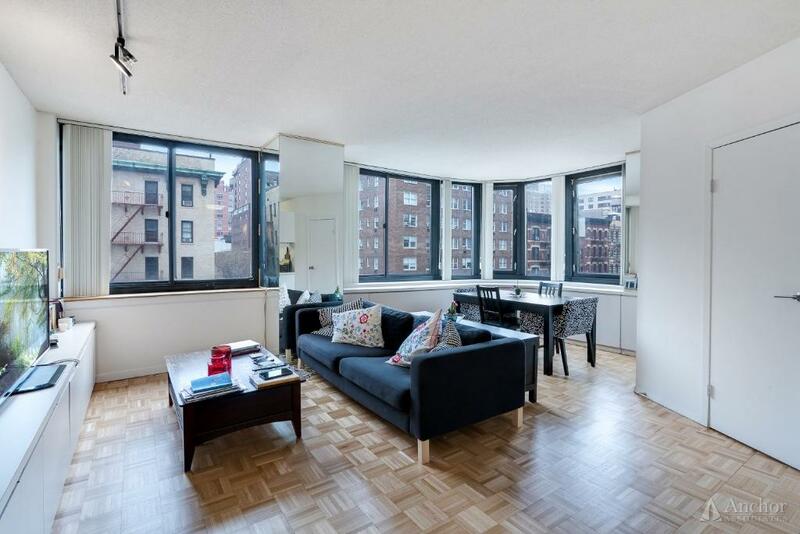 Ozzie was an important asset in our search for an apartment in Manhattan. He was very helpful, professional, and easy to work with. He made a point to communicate regularly throughout the entire process and was able to answer any questions we had. We trusted him to find the right apartment for us based on location and price and he did not disappoint. He made the experience as easy as possible. I will definitely use him again in the future, and have recommended him to many of my friends. I highly encourage anyone and everyone in need of an apartment in NYC to contact him." "I had an opportunity to work with Ozzie and he was an great partner wh..."
"I had an opportunity to work with Ozzie and he was an great partner who showed me a large number of units that were all in my price range and fit my criteria. Three things stood out from my experience with Ozzie. 1) Every apartment he showed me was of high quality, there were no duds. 2) He had relationships with most of the building attendants, there was no unnecessary waiting to see places. 3) He tailored our visits to my schedule and had a very efficient plan which allowed us to see about 15 apartments from 56th and Lex all the way to 34th and 1st without any backtracking and without taking up the whole day. He was also very friendly and easy to work with, didn''t try to sell too hard if the space wasn''t right for me, and adjusted the viewings on the fly based on my feedback. Great experience." A native New Yorker, and born and raised in The Bronx Oswald Perez, is a licensed real estate salesperson working out of Anchor Associates corporate headquarters in New York City. He is committed to excellence, and sets himself apart with his stellar work ethic & continuous expanding knowledge of the Manhattan real estate market. Oswald is a martial artist since he was an early teen, and the skills built from that experience ensures that his clients search for the best real estate is smooth and seamless. Integrity, respect, and customer care are what he lives by, coupled with his great communication skills. Available 7 days a week, Oswald will always be a call away to assist in this fast moving market. Give him a call whenever and find your ideal next home.